Wood boxes are the #1 packaging choice when durability, flexibility, and performance are critical. Interchangeable elements in the design configuration make wooden crates a versatile medium for both domestic and international shipments of 700 lbs up to 10,000 lbs. 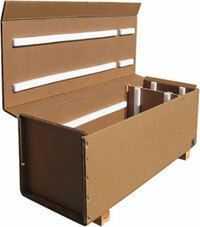 Take an ordinary box and add upgrades to extend its life and turn it into a cost-effective multi-use shipping box. Wood boxes are fully customizable with components such as; hardware, handles, locking latches, protective steel, foam lining, ramps, and casters. 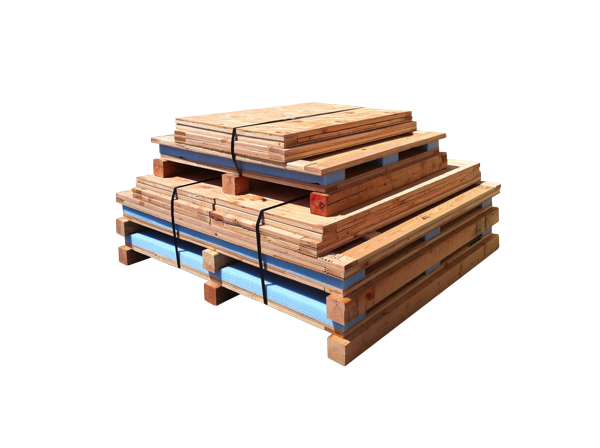 An open slat wooden crate is ideal when shipping items bare or when full boxing is cost prohibitive. 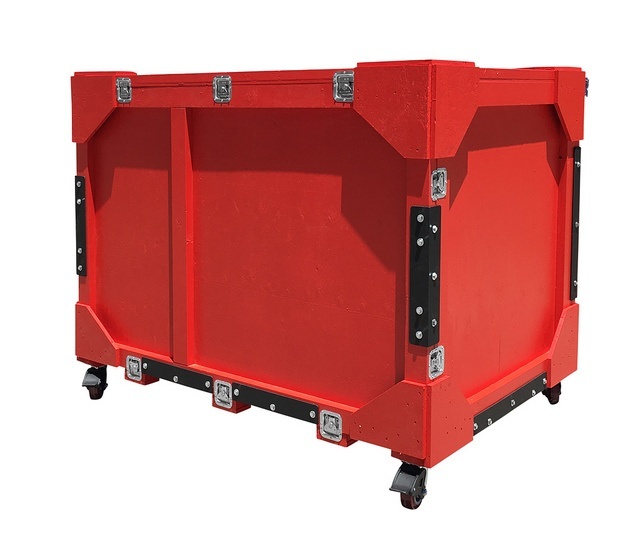 The crate-designed shipper can provide exterior protection along with vertical protection when stacking is a concern. The crate is also lighter than an enclosed box potentially lowering your overall packaging and shipping cost. 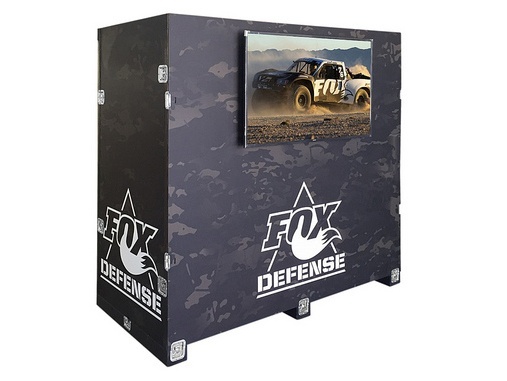 Trade show shipping crates require additional planning to design the interior so that display components can be conveniently removed and loaded on location while maintaining proper protection during transit. 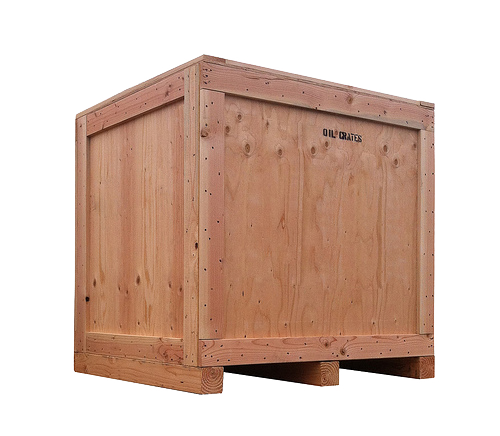 Heavy duty wooden shipping boxes have specially designed bases to handle heavy or large loads starting around 1,000 lbs depending on the type of payload. Maximize your investment by using your wood crates over and over again! 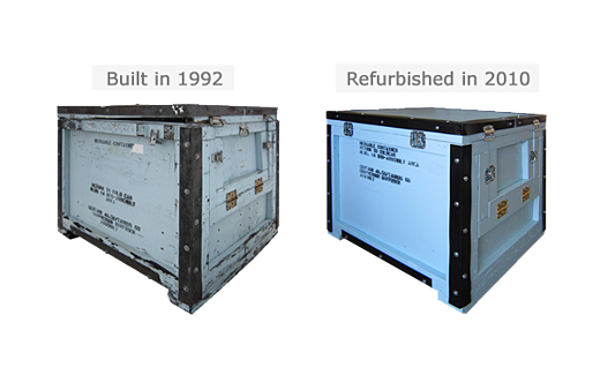 When the repair cost is no more than half the cost of a brand new container, we recommend refurbishing! Refurbishing extends the life of your box and your investment. Every piece of hardware, steel and wood can be replaced so it performs just like it did when it was first built. 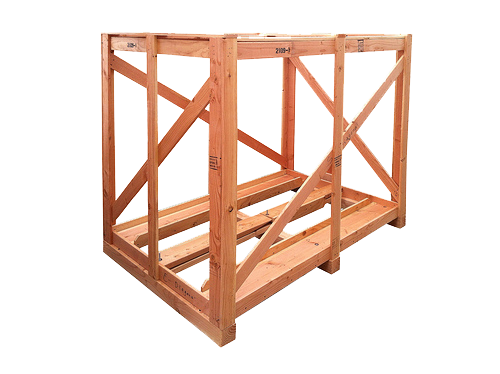 A knock down crate can be shipped more economically because it takes up less space. 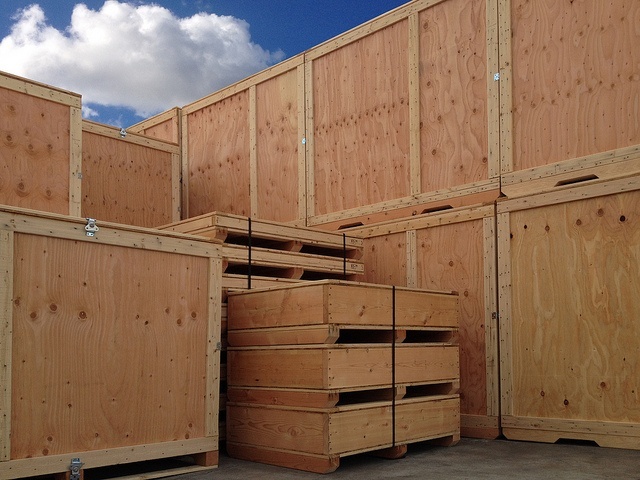 Knock Down (aka "kitted" or "KD") crates contain the base and fully constructed panels; all banded together for safe handling, ready for final assembly. Almost any wooden shipping box can be delivered with a KD design. Our on-site packaging crew can easily assemble a knock down boxes at your location.